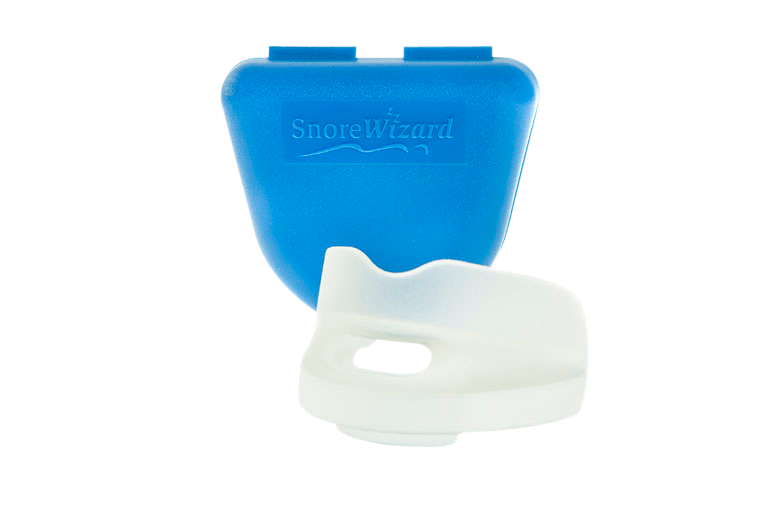 The Snorewizard provides a simple non-medicated snoring solution. Its effect is instant and its affordable, and it has a 30 day money back guarantee included! 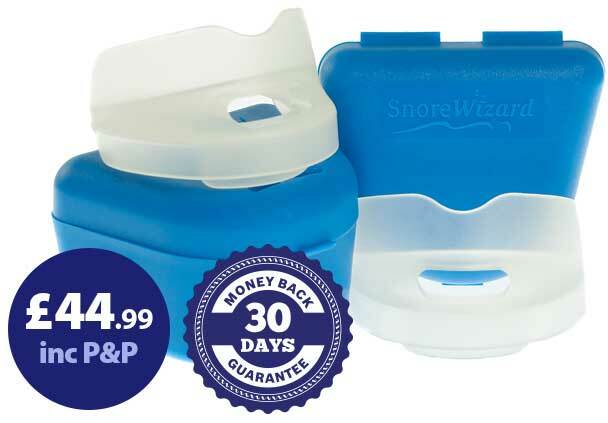 The Snorewizard Mouthpiece is a simple and effective mandibular advancement device which has been designed and made in the UK. Snoring is caused by vibrations of the soft tissue at the back of the throat and neck and, once in the mouth, the Snorewizard moves the lower jaw slightly forward which opens up the airway at the back of the throat, reducing and in most cases stopping the vibration. Unlike the boil to fit mandibular advancement devices the Snorewizard comes ready to use. If you suffer from pain in the jaw. If you have dentures and remove them at night. If you suffer from sleep apnoea - obstructive sleep apnoea is a medical condition that interrupts breathing - if in doubt, check with your doctor. Teeth problems that would cause the SnoreWizard not to fit.